For any of us car guys living here in Japan, Yahoo Auctions is basically a way of life. You can find some pretty good deals, if you know how to search, happen to have the money, and move quickly enough to bid and win. The stars DID line up for me last week. I hadn't spent time on YA in a while, figuring that while my car was at Nissan Prince Motorsports I didn't need anything extra. Until I found this going for an initial bid of 1 yen! Ok so why are you excited about a black hood Aki? So what, you might say. There are several BCNR33 hoods being offered on YA any day of the week. That is true, however THIS one is really special. First, it's an OEM Nissan hood. Second, the seller claims it was unused. Third, it's for an N1 spec car. This explains the holes at the leading edge of the hood, predrilled. I am not sure if there are any other differences between the standard car or the N1, but OEM and unused were VERY attractive features for me! 5 holes...hopefully this means no one else bids... but I was wrong. Extremely clean - definitely hasn't been used and is paint ready! I actually had planned on installing what Nissan calls the "Hood Top Molding" (or hood spoiler or bonnet lip as I've seen it on English language forums), so I had purchased an OEM one a long time ago. 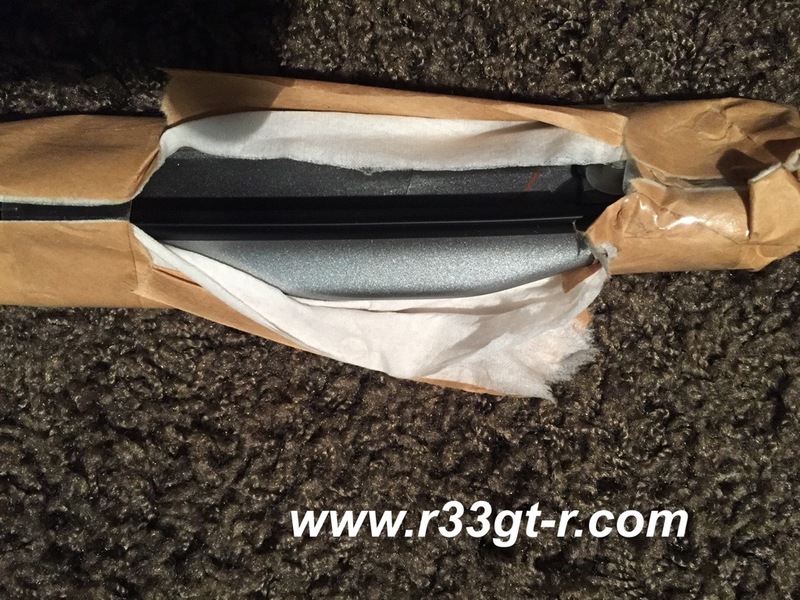 Here is the part number...note the "U21" is the code for KR4, as these are pre-painted! double checking it's the right color! However I had never gotten around to installing it. I had been meaning to have my hood repainted, not just because there were some rock chips but also because it appeared that someone had, at one time, sat on the hood and left a slight crease in it, right above the right headlamp. But, when I asked for quotes to fix it, the answer was always "it'd be easier and cheaper to repaint a used non-damaged hood or a new one." I had actually bought a cheaply priced used hood at auction previously, but it turned out that it also was banged up. So, the Hood Top Molding stayed in the box all this time. But when I saw this N1 hood at auction, I had to get it. The buy it now price was 40,000 yen, so despite some others trying to get it as cheaply as possible, I simply bought it at the "buy it now" price. However, I was still a bit nervous that, photos aren't everything and people don't always tell the truth when selling stuff at auction. Earlier today (Monday) however, I got a call from Yamazaki-san at Nissan Prince Motorsports. The hood had already arrived (I had bid on Friday! ), and further, it was as described - a few scratches and a small dent but nothing that couldn't be relatively easily fixed, it has to be painted anyway! 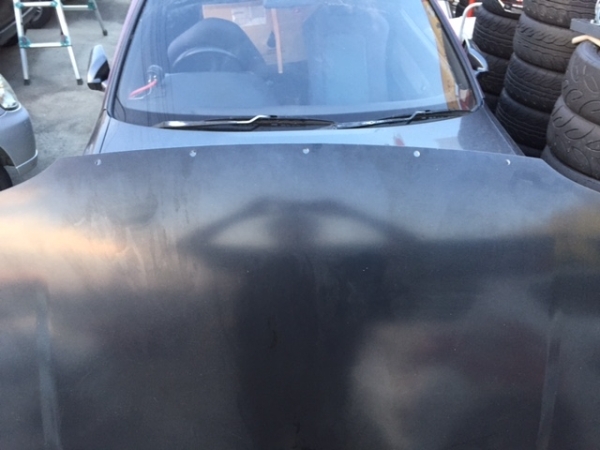 To test the fit, and to double check the quality, they already replaced the hood on the car with this N1 one, and the car is now being sent to the paint shop. Hopefully there are no issues but I will post here if there are! Meanwhile, I've sent the Hood Top Molding to them so hopefully it arrives on Wednesday. 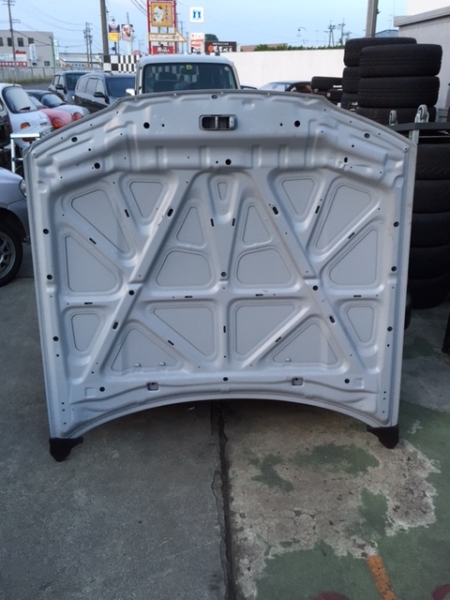 Oh, and Yamazaki-san mentioned that the work (the Nissan/NISMO part installation) for when the car was actually taken there for, was already done, so now all that was left was this bodywork. Good timing! 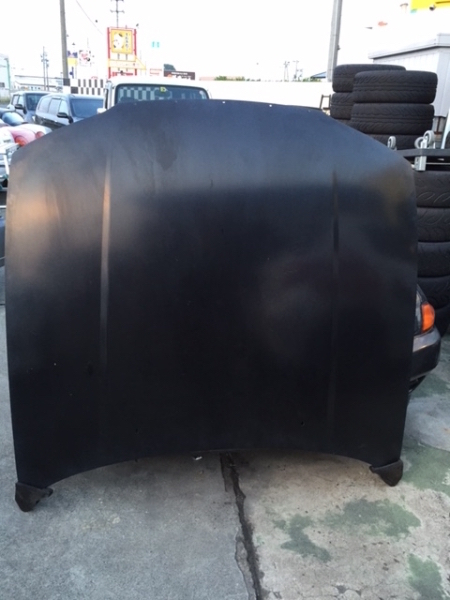 So, when I pick up my car (whenever that is), I will have not just the part I mentioned installed, but this hood newly painted, with Hood Top Molding, so the car will LOOK better than when I dropped it off, and one long standing blemish which annoyed me every time I looked at it, will be GONE. Yeah been calling that thing bonnet lip like forever. Wasn't sure at the beginning if I was really liking it, but now I love it and can't imagine the car witout it. It just fits so nicely on the bonnet. It will look awesome on your car. YOu still leave us in the dark what was done on your car? As always, great to hear from you and thanks for your comments! Yeah, I had always wanted the bonnet lip, just never got around to installing it. 3) Has already been installed as the car is now being sent to the paint shop. 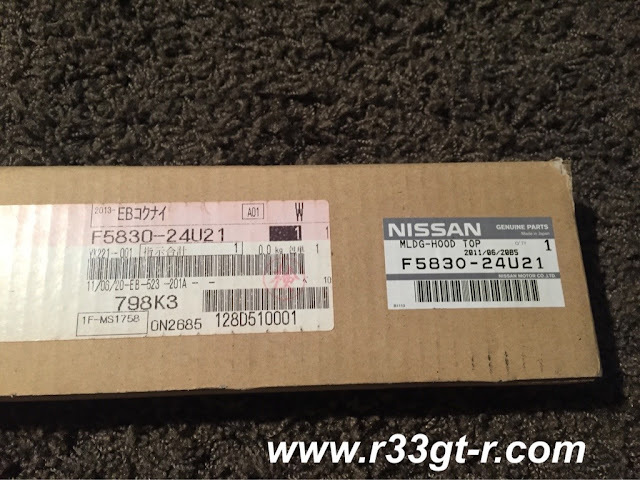 4) During the installation, Nissan found a problem with an earlier repair done by Mine's. I've asked Nissan to take photos along the way, so the wait will hopefully be worth it! Nice find on the bonnet Aki! Is there much of a weight difference in the stock OEM bonnet & this "new" one?